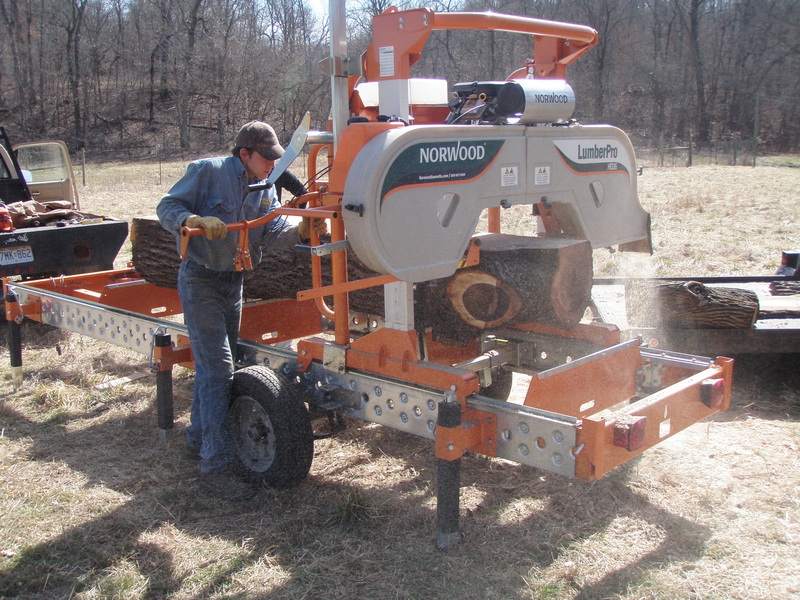 Whether you are thinking about buying your first portable sawmill, upgrading your equipment or just looking for new ideas and better ways to run a sawmill, there is no substitute for seeing a bandsaw mill in action. There are a lot of YouTube videos of sawmills, which is a good start, but nothing like seeing or even trying one first-hand. Fortunately, you have many opportunities to do just this. There are always several forestry, wood processing and agricultural shows held around the world every year. A quick Internet search can help you locate one close to where you live. 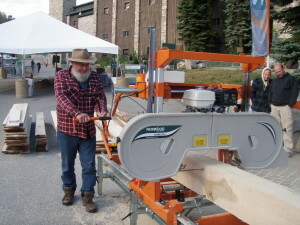 This is a good place to see different models and mobile sawmill manufacturers. Of course, the reps at shows will demonstrate the mills to their best advantage. The logs will be specially selected to provide the most impressive demonstrations possible and the mills are likely to only have a few hours on them, so you will see them perform at their optimum. Highly qualified and experienced company representatives are typically on hand to demonstrate the mills and answer any questions you may have. There is, of course, generally promotional literature on hand discussing the current models and their options. If you are really interested, you can also discuss machine pricing, bandsaw mill financing options and maybe even go home with a “show special”. I find the best approach to attending shows is to watch the demonstrations and come back to talk to the representative when there isn’t a crowd. It is a great way to find out about which model and option is best suited to you, whether you just want to saw a few boards for hobby use or start your own sawmill business. You will find that sawmill owners tend to hang out around the booth of the mill they own, so there is a good chance you will be able to talk with them and perhaps arrange to visit a working mill. Open houses tend to be a lot more relaxed than shows and, if you are serious about a specific manufacturer, provide the opportunity to visit with factory representatives and owners of every model of mill available. New products are often unveiled at open houses, which can be exciting for sawyers who appreciate the latest and greatest technologies. Most include a free lunch and plenty of time to talk with people with all levels of experience. 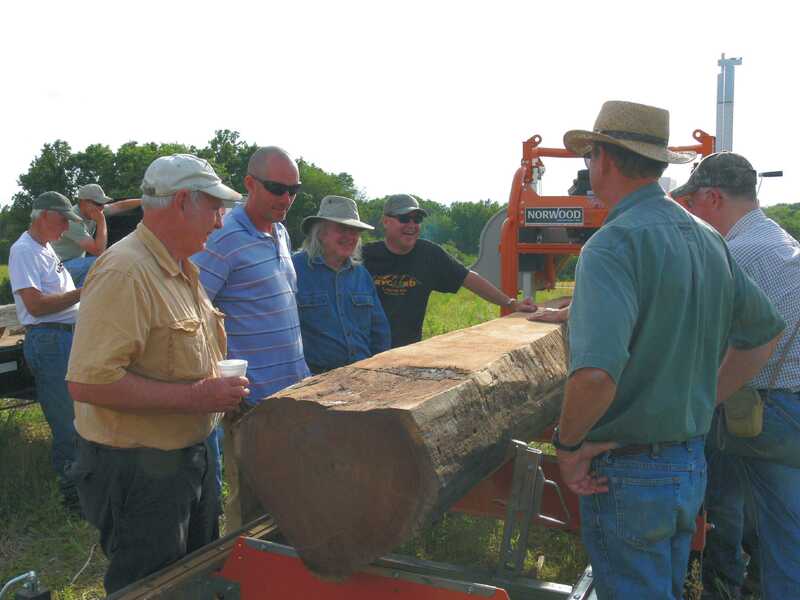 Open houses bring together sawyers who share your enthusiasm for wood and can give you good advice about everything from obtaining logs, to marketing your lumber or how to build a sturdy sawmill shed to house your new investment. There is nothing quite like watching a sawmill operating in its native environment. 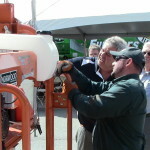 Sawmill owners tend to be very enthusiastic about their equipment and quite willing to share their knowledge with others. 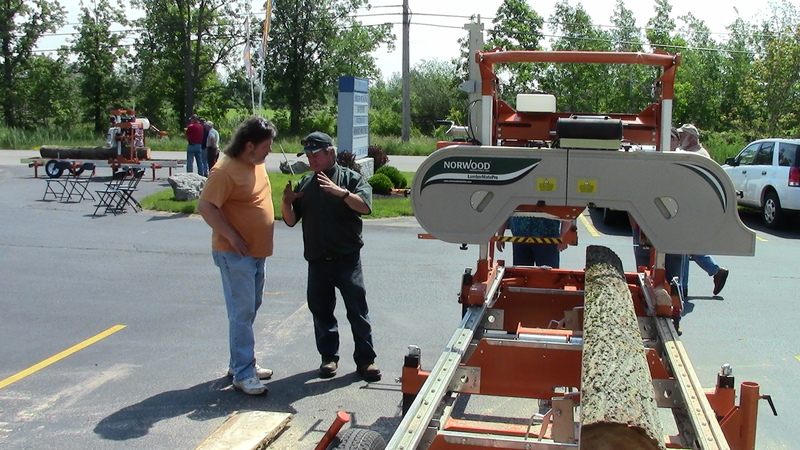 If you visit a sawmill on someone’s property, remember many sawyers depend on the mill for income and may not have as much time to answer questions, as you would like. On the other hand, if you show up wearing steel-toed boots, gloves and hearing protection, you just might find yourself getting a real workout helping around the mill. Some sawyers might even let you try your hand at milling a few boards. Others may ask you to stand back at a respectful distance, due to potential liability concerns. This kind of demonstration is typically production-oriented. Try to get a feel for the flow of the work. Does the sawyer spend most of his time making sawdust or handling the logs and lumber? Look for features of the mill, which make it “user friendly”. For example, do the clamps work smoothly and hold the log securely? Does the mill handle odd-sizes and shapes of logs? How much does the sawyer rely on muscle vs. letting the machine do the work? Is the mill solid? A private owner will usually be brutally honest in his opinion of the mill and will likely be free in praise and criticism of his mill compared to other mills he may have looked at. Bear in mind many of the mills in operation have been in use for a number of years and may not reflect some of the refinements on current portable sawmill models. Sawmills are built to be durable and its not uncommon for older models to still be operating at a high capacity. Also, many sawmill owners tend to modify their machines to address their specific space, workflow or other personal requirements, so what you see may not be the same as what’s available on more current out-of-the-box sawmills. Again, the Internet is probably the easiest way to find sawmill owners. You may find a few sawmills on Craigslist, but only a small number of mills advertise. 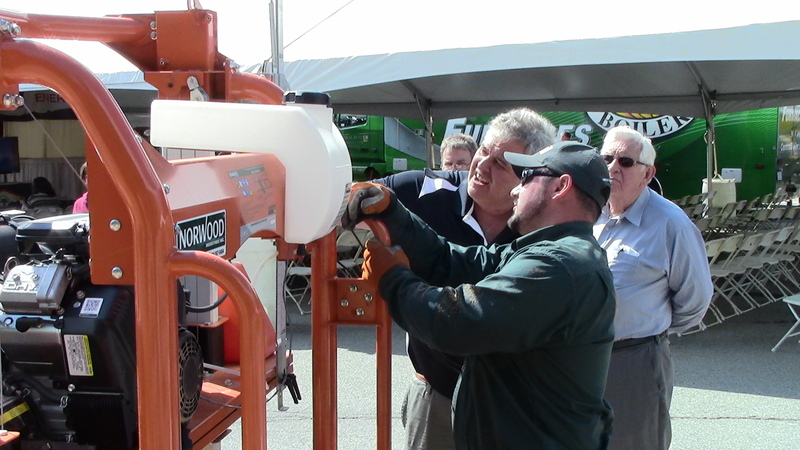 Most manufacturers maintain a list of customers who are willing to demonstrate their machines. A web search for specific manufacturers will give you the contact information you need to start your search for local mills. Another option is most states in the U.S. have a Forest Products or Forest Landowners Association, which list their members by category. Most of the sawmills listed will be large commercial businesses, but you will also find some smaller mills. Some mills have their own websites and/or Facebook pages to share or sell their lumber or projects, so you can learn about them and see their work before you contact them. Online sawmill forums can also a good resource to locate mills, as well as to read some frank discussions about the merits and problems of specific machines. Most have a member’s listing or “shameless commerce” section allowing members to promote their business with contact information. Consider joining a forum (they’re generally free) and ask who in your area has a mill you can visit. You’ll likely get a few quick invitations. Once you’ve had an opportunity to see a mill in operation, be sure to thank everyone for taking the time to show you the ropes. And if you do buy a mill, be sure to let the manufacturer know where you first saw it. Then join a forum and get involved with the community, so you can share your love and milling experience with other new sawyers!